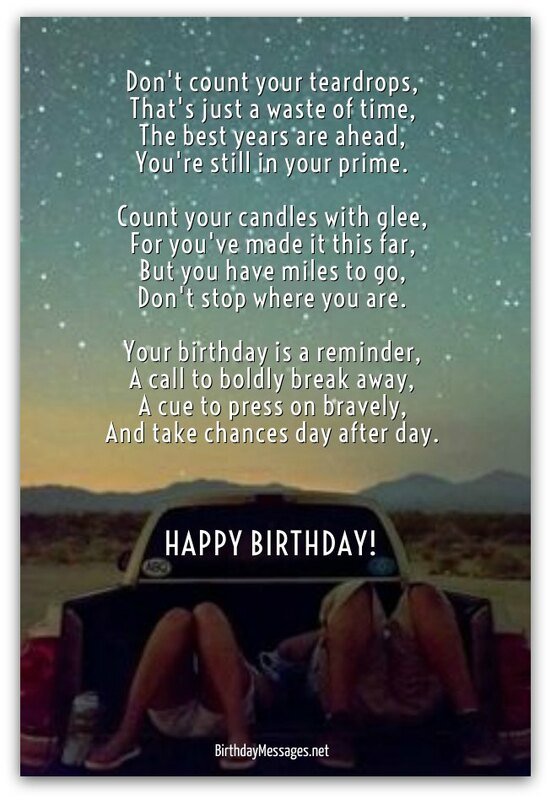 With the unique inspirational birthday poems here, wish the ones you love a "Happy Birthday" and inspire them to shine their brightest, starting with their birthday. The words you choose to show loved ones that you truly care about them can go a long way toward inspiring them. If you need some help with finding the right words, take a moment to look at the Message Guy Tip below. Need a few great tips on choosing the best inspirational poems for your loved ones? 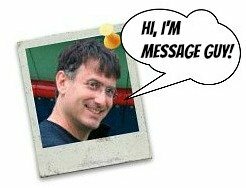 Click here to check out Message Guy Tip #96 right now. It'll only take you a few minutes to read. Yes, it's that fast and easy! A tune so rich, rare and young. Pump up the volume for all to hear. For all the love you make. Every ingredient is just right. You're still in your prime. Don't stop where you are. And take chances day after day. Don't make life one big frown. You have the golden touch. It's the best way to feel good. Life's much easier that way. It's time you really should. Soon it'll be easy to do. Great at everything you do. 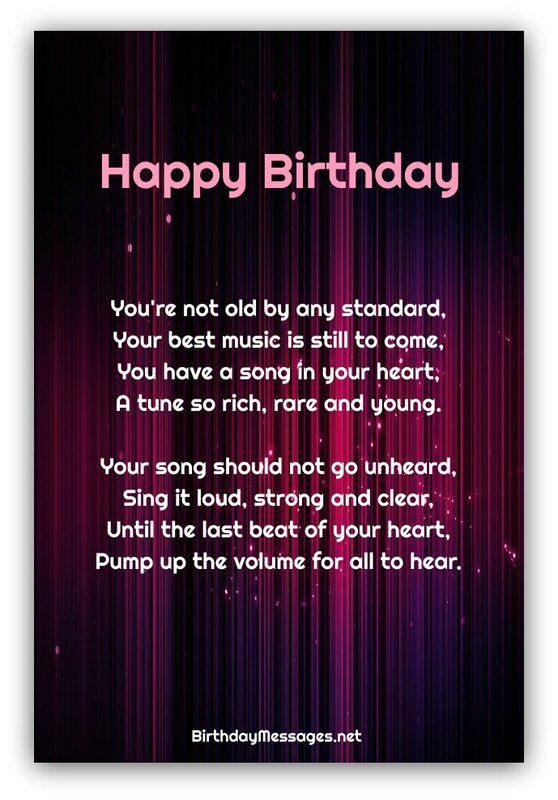 Find more inspirational birthday poems for the ones you love right below. You'll be happy you spent some time hunting for the best poems here. You can stop along this road of life. You can stop here and there. But how you finally get there. It's sad to dwell on the past. Another year will be gone. 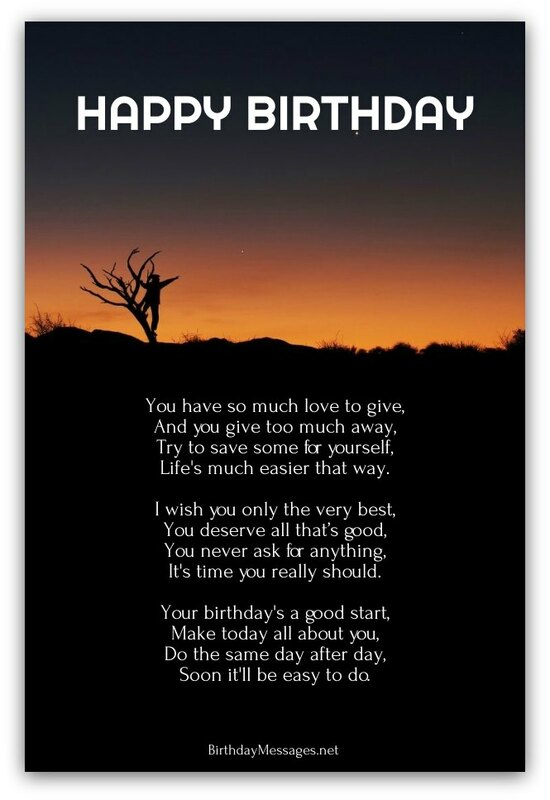 Have a great 40th birthday! May your wildest wishes come true.